Friday Goodness: Hey, Green tea lover! So, are you a green tea lover like me? The whole of last week I abstained from coffee and did just green tea. It felt really good. I had coffee on my birthday, not that I craved it, I just wanted to spoil myself like that. That's one of the things green tea does, it cleanses the system and kills every form of craving. You will begin to wonder why you don't love that which you used to love. Hahahaha! 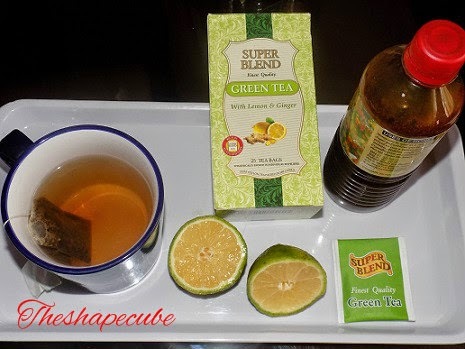 I don't just have my green tea plain o, gone are those days when i punish myself with bland tea. Today, I jazz things up! See my brew below: Please See this as a reminder, its pretty basic because, I know most of you drink your green tea. Feel free to explore different blends and flavors of Green tea. A bag of flavored green tea. Isn't plain boring? A cup of blazing hot water. Make sure the water is blazing, very important. (don't burn yourself though) Pour into the mug in which you have your tea bag. Cover and allow to brew for 3 mins. Uncover, add the honey and squeeze in the lemon juice. Stir and allow to cool before you drink. I don't take out the tea bag till my cup is empty, I need value for my money. Lol. This tastes sooo yummmyyyyy!!! I can have 2 cups back to back. I prefer to use fresh lemons because they always taste better. If i'm using the local ones like in the picture, I use a whole one. If its those yellow foreign ones, I use half. The taste is much stronger, besides, they are mighty expensive! Try this, have a cup before your workout and see yourself do more. Have with breakfast at the office, or before any meal. It brings so much freshness and happiness to your day, no be lie. Do you drink green tea everyday or at least 3 times a week? Did you notice any changes? Gist me in the comments please. Green tea also has many more benefits that I have highlighted on the blog in the past. I have some other brews for weight loss, cleansing, detoxing etc. Just holla me for a meal plan and you get the recipe. Thanks and God bless. Yes Ama, I spoilt myself with coffee. I will give you reasons later. I just didnt have the muscle to go eat something too sinful. Green tea curbs hunger true, i have come to love it all over again. Thanks suga! Thanks Sally smart. God bless you. I have several plans based on your needs, weight loss, etc. Pls mail me on chelizruby@gmail.com for more info. Thanks. 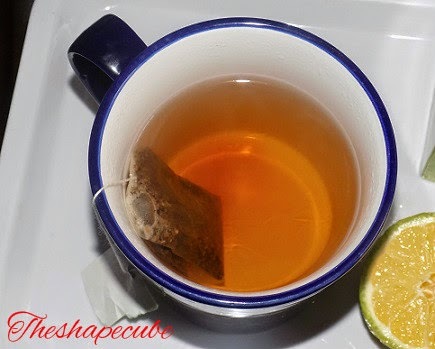 Well said Cheliz, the benefit of green tea is amazing,When i discover it i embarce it with all my heart.It does the job i am a testimony.I have lost 23kg so far and looking at loosing another 10kg. Hi Olu. Wow congrats on your 23kg loss. Great job dear.